Candidates are advised to check the CG PET 2019 Eligibility before filling the application. Chhattisgarh Pre Engineering Test (CG PET) is the state level entrance test which is monitored by the Chhattisgarh Professional Examination Board. 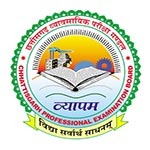 CGPEB is also known as CG Vyapam. This exam is conducted for admission to first year undergraduate engineering courses in the government & private engineering colleges of Chhattisgarh. Here, students can check CG PET 2018 Eligibility in terms of qualification criteria, age criteria and domicile requirements. Candidates who are applying for admission in the government, private and autonomous engineering institutions/Universities of Chhattisgarh under Chhattisgarh state quota seats are required to produce the domicile certificate of Chattisgarh state. Candidates should keep their domicile certificate ready as the proof of residency. Admission into state quota seats is done through CG PET whereas admission to all India quota seats will be done through JEE Main. Students appearing for CG PET 2019 should have age of minimum 17 years on or before 31 December 2019. Maximum age limit for applying is 30 years as on or before 1 July 2019. Relaxation of 3 years in the upper age limit of female/SC/ST/OBC/PH category candidates is provided. Qualifying Exam: Candidates should have passed 10+2 or equivalent examination from the educational board of Chhattisgarh or equivalent board. Subjects: Qualifying examination (12th) must be passed with Physics, Mathematics (as a compulsory subject) along with any one of the given subjects, i.e. Chemistry/ Biology/ Biotechnology/ technical vocational subject. Minimum Marks: In 12th examination, candidates are required to obtain at least 45% marks for general category candidates and 40% marks for SC/ST/OBC and physically disabled candidates in three main subjects. It is also necessary to pass all the three main subjects individually at qualifying examination. Qualifying Exam: Aspirants who are applying for B.Tech (Biotechnology) are required to pass 12th examination from the educational board of Chhattisgarh or from any other recognized board of India. Subjects: Candidates who have passed 12th with Physics and Biology/Mathematics and any one of the Chemistry/Bio-Technology/Technical Vocational Subject are eligible to apply for this course. Minimum Marks: Minimum aggregate of 45% marks (40% for SC/ST/OBC/PWD) in all the three main subjects is required. Qualifying Exam: Passed 10+2 or its equivalent examination from Chattisgarh board, CBSE & CISCE. Subjects: Passed the above exam with Physics, Chemistry, Mathematics & English subjects. Minimum Marks: Secure minimum 50% marks (For GEN) & 40% marks (For SC/ST/OBC) in the qualifying exam. Age Limit: Candidates age should be 17 years as on 31st December 2019. Qualifying Exam: Candidates should qualify the 10+2 or its equivalent examination from Chattisgarh board, CBSE & CISCE. Subjects: Passed the qualifying exam with Physics, Chemistry, Mathematics & English subjects. Minimum Marks: Score at least 50% marks (For GEN) & 40% marks (For SC/ST/OBC) in the qualifying exam. Age Limit: Candidates age should be 16 years as on 31st August 2019. Candidates should be medically fit. If candidates have any query regarding CG PET 2019 Eligibility, they can leave their comments below. Can a NRI student appear for CG pet 2019..
i don’t have domicile of cg , will i get admission in cg collage by ‘cg pet’ entrance. Is admit card necessary during counseling? I have a CG state domicile but my caste certificate was issued in Bihar. In this case will my caste certificate be valid for taking admission in colleges in Chattisgarh? How many times a candidate may appear for cgpet? Or After taking college can i apply for cgpet again to to change college/university after 1st year? My marks are not so good in cgpet so is there is chance to appear again? Now you can appear next year. Can candidates residing in other states apply for CG Pet ? I have filled obc category…..but it is of kerala government…. And I have been passed in CGPET… Rank 857…. Can you tell me weather my obc certificate will be applicable or not…. Will my form be proceeded…. I have gotten 42% mark in pcm and in pet mark is 47. Am I able to take part in counseling ?.I belong to obc category..plz tell me..
We both (myself & wife) are working at SECL, Bilaspur and my son has appeared class 12 from DAV, Bilaspur (CBSE affiliated) in 2017. My son is eligible for C.G. domicile or not. Please clarified. If he born in chattisgarh then he is. I am born on 08th July 1999 in chattisgarh( charoda). But schooling done from Delhi. So I only have birth certificate of CG. Can I apply for CG PET. exam,but appear improvement exam in 2017 & hope more then 70% score. can I apply CGPET 2017.